When children reach the teenage years there is a delicate balance that must be achieved between parents and teens. How much control and how much freedom should a parent exercise? Parents have to decide how much control they will have over their child and how much freedom and decision making the youth will be able to exercise. We see in this passage that a young man is being instructed by his father and he tells him that he will encounter two major temptations; peer pressure and sexual seduction. 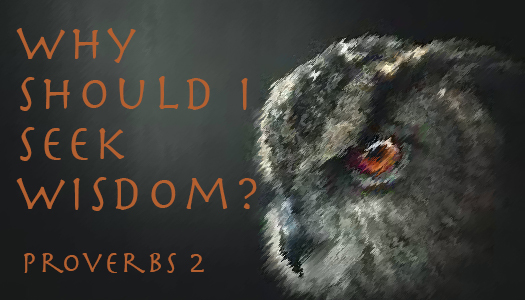 Instead of clamping down freedom and ratcheting up control â€“ the father tries to teach his son how to make wise decisions himself, and he instructs him on the benefits of making wise decisions. He tells him the truth about life (these are the dangers), and he gives his son the necessary tools to handle it when it comes. Also, the father begins with the importance of knowing God. Many parents tell their children “donâ€™t do this,” or “donâ€™t do that” and they may even show in the Bible how these things are destructive, but they do not give an alternative to the desire to be popular, or have a girlfriend, or be in a bad relationship. The alternative is knowing God and finding joy in that relationship and way of life. The alternative given to us in Proverbs 2 is the most valuable pursuit there is, the most important thing in life â€“ to know and love God at a deeper level. 2:1 My son, if you receive my words and treasure up my commandments with you, 2 making your ear attentive to wisdom and inclining your heart to understanding; 3 yes, if you call out for insight and raise your voice for understanding, 4 if you seek it like silver and search for it as for hidden treasures, 5 then you will understand the fear of the Lord and find the knowledge of God. We see first in v. 1 there is an â€œifâ€ and again in v. 4, â€œifâ€ and in v. 5 we see â€œthenâ€ â€“ these are if/then statements that say if you do this, then these things will happen. If we take in our fatherâ€™s commandments, then we will understand â€œthe fear of the Lord and find the knowledge of God.â€ Fear and knowledge therefore do not just happen, they have to be sought after and desired. They require effort and time. The way that is described here is of a person seeking wisdom, by calling for it, digging for it, mining for it, so that it can be found or discovered â€“ but all of these things require a person to diligently seek it out â€“ it does not just pop into your mind and heart. I love my children, but one of my children has a tendency to wander off away from groups â€“ water parks, cub scout camp, churchâ€¦ and there have been several times when we realized that the child (who shall remain anonymous) there is a rush of panic and fear that rushes over you â€“ and your whole focus is finding that child as quickly as you can. I know I treasure this child, because I seek after the child with all I have, my heart desires nothing else but to find this child. I yell the childâ€™s name â€œanonymousâ€, I look under stuff, I look in stuff, I really do want to find the child. This is how we are to seek God â€“ we cry out to the Lord in prayer, we search His Word as though we really want to discover Him, and His commands for our lives â€“ not in some kind of guilt trip, or so we can be self-righteous. When we seek after wisdom with all that we have, it is not just wisdom that one is given, but God Himself! We get to know God better, we relate to Him at a deeper level. 6 For the Lord gives wisdom; from his mouth come knowledge and understanding; 7 he stores up sound wisdom for the upright; he is a shield to those who walk in integrity, 8 guarding the paths of justice and watching over the way of his saints. In chapter Proverbs 1 wisdom calls out to us and here we see that we are to call out for wisdom. So, wisdom desires to be listened to, and the Lord is ready to give wisdom to any who seek it. He stores it up for when we seek Him; it can be found in great quantity. Wisdom is directly related to obedience where the believer chooses to obey and wisdom is then given from God and their paths are protected. The seeker of wisdom is described as upright, blameless, just, and faithful. Wisdom in the life of a believer then becomes a shield that is given by God that protects the believer. When we are diligent and obedient, wisdom is given from God and our decision-making becomes one where wisdom is shown. So if we look at it from the opposite view, and reverse the teaching here â€“ when we are disobedient, wisdom is not given in the life of a person, and then their decision making is one that lacks wisdom because it is not given by God, and the personâ€™s path is not guarded, and they suffer harm. One of the ways that God â€œwatches over usâ€ is to allow us to choose to follow Him, and then because we choose His ways, and obey His commands, then he gives us the ability to protect ourselves by our ability to make good and wise decisions. It is like a father who teaches his child to wear a helmet when he rides his bike. 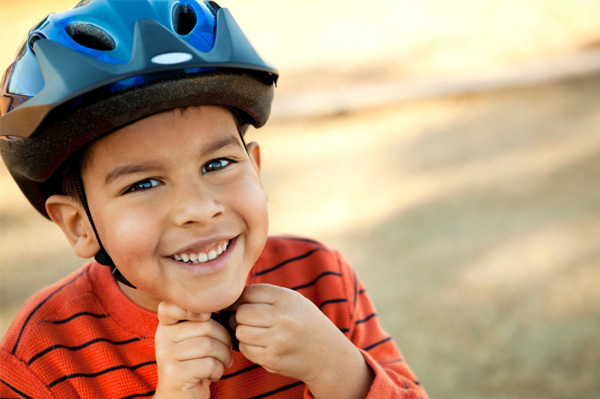 Every time the child goes to ride his bike the father tells him, wear your helmet â€“ then one day the son goes out, puts on his helmet and rides his bike without the father having to say anything â€“ he then falls â€“ how did the father protect his son? By giving him instruction and the son then listens and obeys, and the son is protected when he fell. As our heavenly almighty father, He has the ability to make us walk in His ways, but He has decided to give us the freedom to choose. The Bible teaches us that those who become wise are those who seek the Lord, and obey His commands (holiness) â€“ wisdom â€œskills in lifeâ€ are given to them by God. The best way to prepare our children for the world is to teach them to fall in love with Godâ€™s Word. To memorize it, to discuss it, read it, pray through it â€“ and teach them to have a quiet time on their own. We lead by example â€“ we love God and His Word, and they follow. We can have a quiet time with them, teaching of why we do this and how important it is, then have a quiet time at the same time but separately, and then them by themselves. The seeker of wisdom is described to us as being on a path. While on this path he begins to understand how God sees righteousness, justice, and equity â€“ and understand the â€œgood path.â€ He will discover that living this is â€œpleasant to the soul.â€ He enjoys living a godly life, it brings him joy. He doesnâ€™t have to, he gets to. Itâ€™s not a duty, or obligation but a privilege. Wisdom given from God to the believer, and a love for God and this way of life becomes a guard against men who desire to seduce him into â€œways of darknessâ€ We see that not only do these men have perverted speech, are unrighteous, walk in ways of darkness, but that they â€œrejoice in doing evil.â€ They love being perverted, walking a crooked life path, and being devious. The danger is not what these evil men will do to the young man, but how they will draw him in to doing what they are doing, even to the point of thinking that it is pleasurable and having fun in this activity. The danger is that he will become what they are. We all have a sin nature, that when we expose ourselves to certain things, stirs up things within us. These evil men use that sin nature to entice the young man into perverse activity. But when the young man has wisdom â€“ he realizes this and rejoices instead in His God, and Godâ€™s ways â€“ thus giving him the ability to not go down the crooked path. Wisdom gives the young man the skill of saying, â€œnoâ€ and realizing that he does not want to live a life that way. The young man has a desire to serve God, rather than allow his sinful desire to control him, and lure him into wickedness. nor do they regain the paths of life. We see the young man, who is separated from his father, and as he is walking he comes across a woman. Wisdom will protect a young man from this â€œsmoothâ€ talking woman. Her smooth talk is for the purpose of getting the young man to commit adultery with her. She is not keeping the pledge that she gave to God (notice itâ€™s not about her pledge to her husband). Another way to think of this is to engage in a relationship where the other person is willing to break a covenantal promise in order to get something she wants. The people that we choose to associate with will have a direct affect on us â€“ wisdom tells us that being around this woman is dangerous. Desire is a theme that runs through this chapter â€“ desire for God, desire to fit in, desire for an adulterous woman, etc.. Desire, when kept in check, and when a young man is righteous, holy, upright etcâ€¦is guarded and protected from the consequences of immoral and evil behavior because he does not engage in the activity. But here the lust for this woman leads to a â€œsinking down to death,â€ keeping the desire in check, not engaging in activity or going to a place where this desire is aroused, has to be guided by wisdom. If not, it leads to destruction. The enticement to be with the peer group leads one to become like they are, here the desire and lust for this woman leads to the destruction of oneâ€™s life. 20 So you will walk in the way of the good and keep to the paths of the righteous. 21 For the upright will inhabit the land, and those with integrity will remain in it, 22 but the wicked will be cut off from the land, and the treacherous will be rooted out of it. Here again we see the young man joined with a group â€“ but they are a good and righteous group who are on a good path. And if the young man is able to be guided by wisdom, says â€œnoâ€ to danger, then he will â€œinhabit the landâ€ and â€œremainâ€ there. In the Old Testament land often times represents the presence of God, or a relationship with God. When we are obedient we are in a place where we can know God and remain in that place of knowing Him at a deeper level. But the wicked are â€œcut offâ€ from knowing God, learning things about Him, and are even at a point where they are â€œrooted out of it.â€ Wisdom then, when sought after with all that we have, with our whole heart, and if we remain obedient to Godâ€™s commands, we will have the honor and privilege of knowing God. Imagine you get on a plane and travel to deepest and most remotest part of a land where the people there do not speak your language and use crude instruments and tools, and have no knowledge of any other land than the surrounding country side where they grew up. Now you take that person and fly them to New York, and drop them off from a taxi to Times Square, you close the door, say â€œgood byeâ€ and drive off. How do you think they will do? Will they be successful? Will they even be able to live? This is what life is like when we donâ€™t seek God with all of our heart. Life makes no sense, itâ€™s maddening, itâ€™s confusing, and it seems to keep changing. There is no sense of direction and we wander from place to place, day to day, not knowing, and not understanding. Everything is foreign and we donâ€™t understand very much at all. But after a while, we kind-of figure some stuff out. We discover that we can dig through dumpsters to get food, and we can find clothing in the streets sometimes. 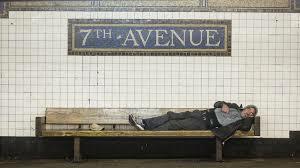 But what if we were from New York, and spoke the language, and knew how to hail a cab, or had money to pay for it, because we had a job in one of those high sky scrapers. We had a home, and every sign we read told us where to go, how much, or we understood that dangers that lay ahead. Wisdom is like looking at the world as though we were from another land, and putting on glasses that allowed us to see and understand the world correctly. The road to wisdom begins with understanding who God is, and what He is like. He is holy; we are not. He is all-powerful; we are not. He is all-knowing; we are not. He is all-loving; we are not. We have been cut off from Him, because of our sin. But in His love, he has made a way, for it all to make sense through a relationship with His Son Jesus Christ. Paul Koptan, The New Application Commentary (Grand Rapids:Michigan; Zondervan) 97. Jesus regularly asked questions. He did this as a way of teaching the disciples and to help them understand who He was. When Jesus asked questions it also helped those around Him to understand what was important to Him. When you sit down and ask the hard questions then everyone is able to see what is important, just by what questions are asked. If the organization is not asking questions of evaluation, then that in itself speaks volumes. In sports, identifying a win is easy. Did we win the game? Anything else is a loss. Coaches and players are evaluated by how effective they are at putting points on the scoreboard and winning ball games. Evaluation helps to align budgets with expected outcomes. To continue our sports metaphor, there are agreed upon rules, set number of players, and basic needed equipment (balls, bats, helmets, shoulder pads, etc.). It is obvious when a sports team spends money on things that donâ€™t help it to win â€“ because their winning, scoring, etc. is affected (or their new scoreboard is the size of a small planet). If a football team decides not to hire an offensive coordinator and let a volunteer handle it when they have time, then they may see the drastic effects of this decision on the first game of the season. So while the gold rims on the teamâ€™s bus may look nice, they will lose because they put the money in the wrong place (and they probably are getting horrible gas mileage). I would argue that the most precious resource that you have is your time. If you want to get more out of your day, or accomplish those big goals you have set, then they have to be prioritized â€“ they wonâ€™t fit once you have dealt with the constant urgency of the present. Evaluating helps the leader show where he/she feels time should be spent by the organization. Asking, â€œWhat is consuming most of our time?â€ and â€œis it being effective in helping us accomplish the win?â€ is incredibly important. What are the â€œbig rocks?â€ and are we delegating/prioritizing the needed time to see that they are getting done? Evaluation helps to clarify mission. If everyone in an organization has a different definition of a â€œwin,â€ then leaders will budget and calendar with their definition in mind. This difference leads to different goals relating to different missions and values within the same organization. This leads to an â€œevery man for themselvesâ€ mentality. If you need something then you compete for resources and personnel against other staff or leaders who are trying to accomplish their own mission. When you evaluate and ask the hard questions then resources are directed toward a common direction. Calendars are aligned to accomplish the same things. Mission begins to be clarified among the organization because the win has been defined and questions are being asked to determine if what you are doing is being effective at accomplishing it. Click here to read more articles written by Drew relating to asking questions and evaluation. This past Tuesday evening was a Cub Scout meeting. As the leader of my sonâ€™s age group we were continuing to go through first aid requirements for a rank advancement. We had to move a couple of times because the church where we meet is having some construction, but eventually we settled in the front of the church sitting on the grass. That evening we had a couple of new scouts that were supposed to be in the older group (they had met off campus that evening and they did not get the word so they sat in with us). So with new faces and beginning a little behind our normal schedule I started to work through my presentation. We began by reviewing previous weeks (what should go into a first aid kit, defining first aid, how we had made our own first aid kits, etc.) and then we started into new material. We began discussing â€œhurry upâ€ cases like severe bleeding, heart attack, stroke, etc. and as I asked the boys the partner up to practice scenarios, for the first time I looked up and scanned the parents who were sitting toward the back. One of the dads there was in medical scrubs, so I just asked him, â€œSir what do you do?â€ and he responded â€œopen heart surgery.â€ Of course, I laughed out loud. Here I am teaching first aid while a person who does open heart surgery was sitting in the back of the crowd. An expert in all things first aid was there but a novice was doing the teaching. As I have reflected on this crazy turn of events I wonder how many times in organizations those who are â€œexpertsâ€ are not utilized; they are in essence sitting the back of the crowd. As the night progressed and we moved from severe bleeding, to stoke, to choking and the heimlich maneuver, I constantly looked to him and said, â€œlet me know if I get this wrongâ€ and â€œplease feel free to add somethingâ€ and he did eventually jump in and begin to add some great insights. The Merriam-Webster dictionaryâ€™s simple definition of a generalist states a generalist is â€œa person who knows something about a lot of subjectsâ€. A specialist is defined as â€œa person who has special knowledge and skill relating to a particular job, area of studyâ€. In my example above I have a shallow and broad range of knowledge about first aid. The â€œopen heartâ€ expert dad has â€œspecialistâ€ knowledge in medicine â€“ which is much deeper and specific than my own. Thatâ€™s what he does for a living. Doesnâ€™t it make more sense to let him lead this specific area of study with the boys? 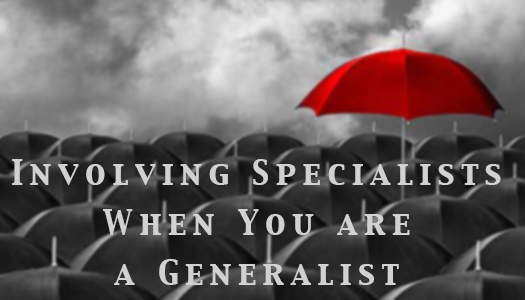 Specialists add a depth to what you are doing; so how does one include then, especially if you are a generalist? Advanced Planning â€“ As with any degree of creativity and ingenuity, these things often take time to put together. You canâ€™t ask someone to prepare a wonderful presentation, a speech, or even be there if your request comes at the â€œlast minute.â€ As the leader, take the time to think way ahead and you will be surprised at how many opportunities and specialists will present themselves to your organization. They have always been there, you were just not in the right frame of mind to see or utilize them. 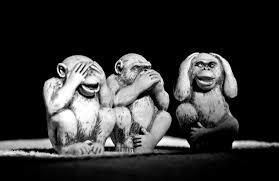 Communication â€“ Once your plan is together, then communicate it with the group who is involved in what you are doing. Give the invitation to those whom may have a specialty in a given area to help in that one area. Many people are unwilling to lead an effort as a whole but they may be much more willing to lead an evening, or specific meeting â€“ especially if it involves something they are passionate and knowledgeable about. Leave the Ego at the Door â€“ People are leaders for different reasons. If you are a leader who always wants to be in the spotlight, then you are limiting your organization. If the teaching, speaking, leading, etc. always has to be done by you, then you are blocking great opportunities and moments from your organization. Make sure that this is not being done because of your pride, that you have not communicated with others, or simply havenâ€™t taken the time to plan things out. This past summer we had our largest Vacation Bible School and this past weekend we wrapped up our largest Fall Festival in decades for the church. In both of these instances we had a follow up meeting with those who helped lead these ministries and outreach efforts. In both cases we came to the same conclusion/agreement â€“ we have to move from individual leader/s to teams. This transition marks a very important change in the church culture (at least in the childrenâ€™s ministry). What Happens If We Donâ€™t Change How We Operate? Do We Really Want to Continue to Grow? Â It is easy for organizations and leaders to get to a point where they are happy with the size. They say to themselves â€œthis far and no further.â€ If we donâ€™t change how we operate then damage will happen, the performance that is driving the growth will stop, and the growth levels will stop and adjust to how you have reacted to these new challenges. Change is necessary at every step of growth. So, as the leader you have to determine if this is the point where we need to change, or do we continue to do what we are doing because it is working. For our team, the next step of growth is to push down to another level in the organization. In Vacation Bible School one leader cannot do crafts, Bible story, etc. we must transition to a team of people leading crafts, Bible story, etc. Our rooms are not big enough, and there are simply too many people in a given area. With Fall Festival there are simply too many details that have to get accomplished in a limited window of time (after church but before the event starts). In Fall Festival we need to move toward a team of people leading with one person over food, another over games, another over registration, etc. 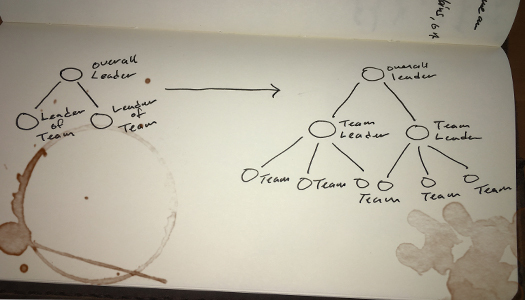 In both of these instances we are moving from one leader to teams. What are the Challenges to This New Growth Step? Communication. When moving from one person leading everything communication with multiple levels of people can be difficult. Once they could simply send out a letter to helpers, have a meeting, and all information is easily communicated. But when a level is added to the organization communication becomes more complex. In an age of Facebook, twitter, etc. look for tools that will help you in this developing and more complex effort. Everyone does not need to know ever detail – now you must divide communication into who needs to know what is essential to their departments. Training. 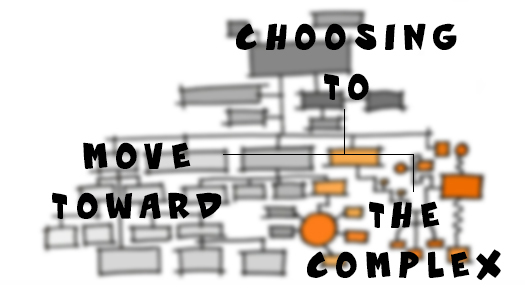 Leaders move from doing everythingÂ themselves to delegating to second tier leaders. The primary leader shouldnâ€™t do anything that deals with (insert responsibility, food ex.) instead he/she should delegate this item to the (insert team leader, food ex.) and trust this team to take care of it. This is often difficult for a leader who is used to doing everything themselves. In this process of handing off responsibility to others, the main leaders should make sure people know what they need to know and have the resources they need to do their job. Recruiting. With this new tier of leadership there are new people in the room. The main leader and their team are comfortable with how they have done things up to this point, and there is probably a level of rapport. These new leaders have to be allowed into the leadership circle. The old days need to stay in the past and not brought to the table — a new day is here with new people at the table. Meetings. Meetings are held as departments instead of the team as a whole. There is nothing more frustrating than to be in a meeting that has little to do with you or your department. There will be times when the whole team needs to meet (vision casting, theme reveal, discussing the event as a whole, etc.) but many times it would be better if individual teams meet at a time convenient for them, and they can discuss what is essential to them. I am very excited to see what God is doing in our ministry, and am constantly challenged by Him in areas where I need to grow. This is the wonder of ministry, our job is never done, and we are never able to say, “done.” There will always be families and friends that need to hear about Jesus. The more He stretches me and grows me, the better equipped I am to reach the lost. How about you? What challenges are you facing in your ministry? Is the Resurrection of Jesus a Fairy Tale? Mankind loves a good story. When it is told in an engaging way it allows the hearers to let go of reality and believe what they know is a deception. They cry for characters when theyÂ experience tragedy or lost love, and rejoice for them when the character experiences the happy ever after. They allow themselves to go on a journey, a roller-coaster-ride of emotions, all while knowing what they are hearing and seeing if false, fictional, or took place in a far away place or distant time. Good story telling causes us to feel and enter into a mindset of believing the false, what Tolkien calls â€œsecondary belief.â€ All good stories have the same main parts: love found, love lost, and then love found again; good overcoming evil; the journey of a hero who overcomes impossible odds; defeating aging and time travel, fixing our past mistakes, etc. So even in a time of science and with all the advancements we have made as a species â€“ we still want and crave certain things from this life. We still are searching for happiness, completion, and purpose. Mankind wants to stop growing old and overcome death, to find true love, to know and be known, to overcome their past, to be noble, etc. We seek them in our stories and entertainment. Great books, movies, art, or theatre engage us in this journey as our hearts desire to touch upon these common themes. This desire to be caught up into these stories and to be carried along forÂ a time is so prevalent that a whole cottage industry of making costumes and going to conventions dressed as characters has developed and is incredibly popular. Keller goes on to discuss how Tolkien said that people have been told and experience reality (there is death, good does lose to evil, etc.) but our hearts know that these things are true in “reality”, but it is in a fantasy story that mankind can know a truer reality of the ways things can be. This is why the gospels hinge on the resurrection of Christ. Our hearts experience a reality of death, hate, despair, heartache, separation, loss, etc. Our spirits search to fill a longing and we escape into stories. We are caught in â€œLife as it is, and life as it ought to be.â€ Jesus breaks into our broken lives from another reality â€“ and shows that there is another reality and â€œother placeâ€ and does it through miracles, and explanation, and culminating in the resurrection. Jesus enters our reality from somewhere else and He then leaves to go back to that the other reality but leaves a promise to return. The wonder of the gospel is that it takes all the parts of the ideal (good overcoming evil, victory over death, fixing all past mistakes, truly being known, peace, finding true love, etc.) and brings them to our broken reality. It is no longer a fairy tale or myth to be able to experience these things. They can be found in Jesus Christ, even while living in our reality. Writers and artists have been pointing to Jesus since creation â€“ they wanted to show that another way is possible they just didnâ€™t know how. They believed that there should be another reality than what they experienced, so they weaved their stories. We have the greatest story ever told in the person of Jesus Christ â€“ and it is not a fairy tale or myth, this â€œother realityâ€ is true. Jesus and His resurrection make those things we thought were real to be false, and shows that what was thought to be unreal and impossible to be real and possible. Yes there is evil but it has been defeated. Yes, there is death but it has been overcome. Yes, you have past mistakes, but they can be forgotten. Yes you have loss, but it can be restored. Yes you feel all alone, but there is a Creator who knows you with an infinite knowledge and loves you with an unimaginable devotion. Below is a wonderful video of Tim Keller and his discussion of this topic. The first 3/4 of the video discusses an apologetic of the Bible.